TOUGH FIND!!! 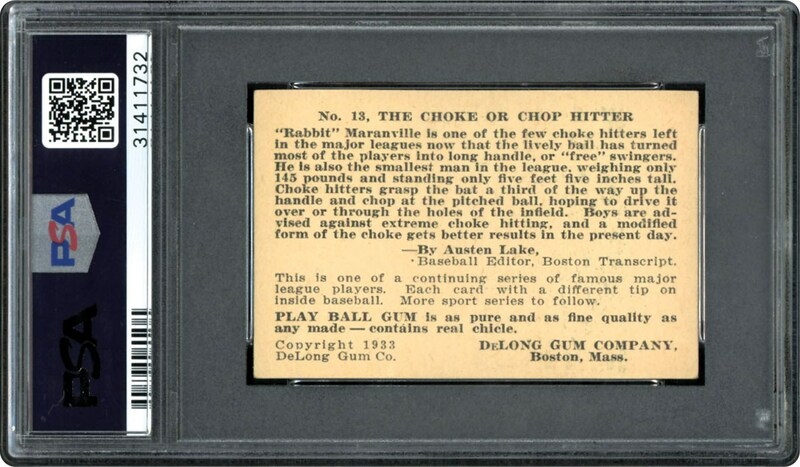 Hall of Famer Rabbit Maranville on his DeLong card from 1933. 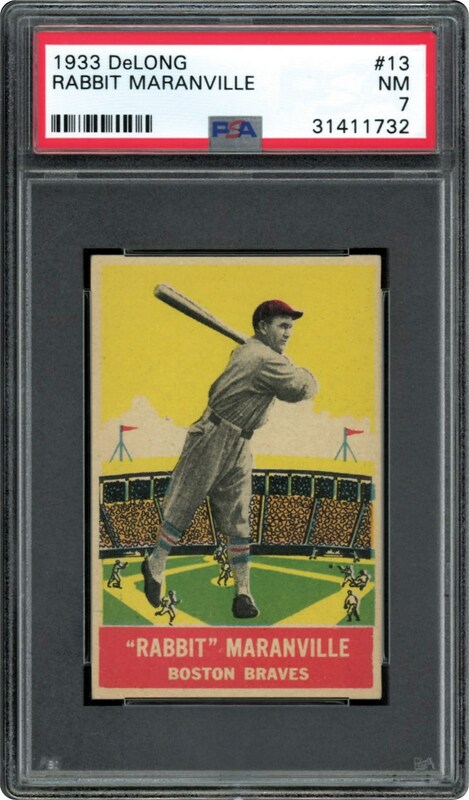 A high end PSA 7 offered here. Just a handful grading higher!! !